Arrival in Bandung. Meet and greet with our guide. transfer to hotel, check in hotel, free program. 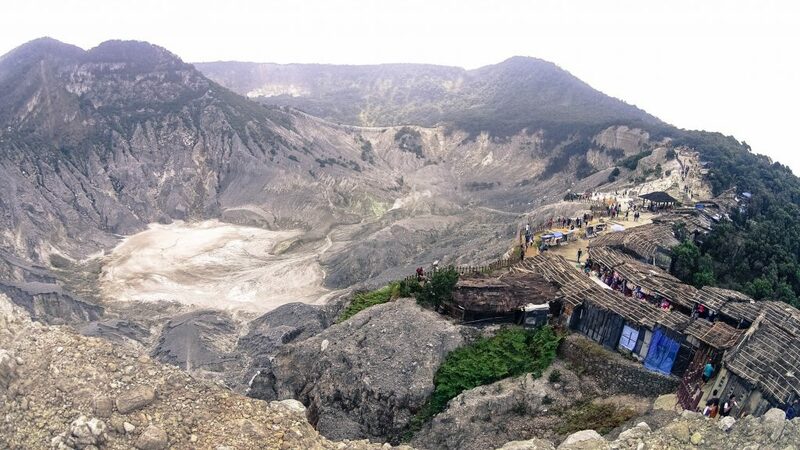 Transfer for tour to Lembang, visit Tangkuban Perahu Volcano, Sari Ater Hot Spring water, then visit Tea Plantation. Lunch at local resto with delicious taste cullinary. Shopping at Rumah Mode, Paris Van Java Mall/Pasar Baru Trade Center, Factory Outlet Jalan Riau Area : Heritage, The Summite, Cascade, Stamp, For Man, Etc. afternoon transfer back to Hotel, Free program. Breakfast at hotel. And transfer to Airport Husein/Train Station/Pool Shuttle, End Off Service. Transfer In Out from Airport Husein Bandung/Train Station/Hotel Bandung. Accommodation 2 nights at optional hotel based on twin share. 2 x Breakfast, 2 x Lunch. Air Ticket / Train Ticket, Airport tax, Porter, Personal Expenses : Telp, laundry, extrabill, minibar dll. High season surcharge periode : Peak Season, School Holiday, Iedul Fitri, X’mas, and New Year. Child with bed is charge 85% from twin share. Child no bed is charge 65% from twin share.